Together, let us take a stand against policies of isolation, nationalism and fanaticism! Get involved in our happening along the entire US-Mexican border! The opportunities will be boundless with music, song, dance and painting next to the wall. Or what about a game of volleyball over the border? We would also be happy to receive your video messages ahead of the event, if you were unable to participate. On 3 June, the Dresdner Sinfoniker will perform in Friendship Park, Tijuana/San Diego with musicians and singers from Mexico and the US. Join us on that day with your own performance or initiative anywhere along the 2000 mile-long border and share your videos/photos on social media using the hashtag #teardownthiswall. Our happening is not only aimed at Trump’s “big, beautiful wall”, but also at the walls in people’s heads across the world. 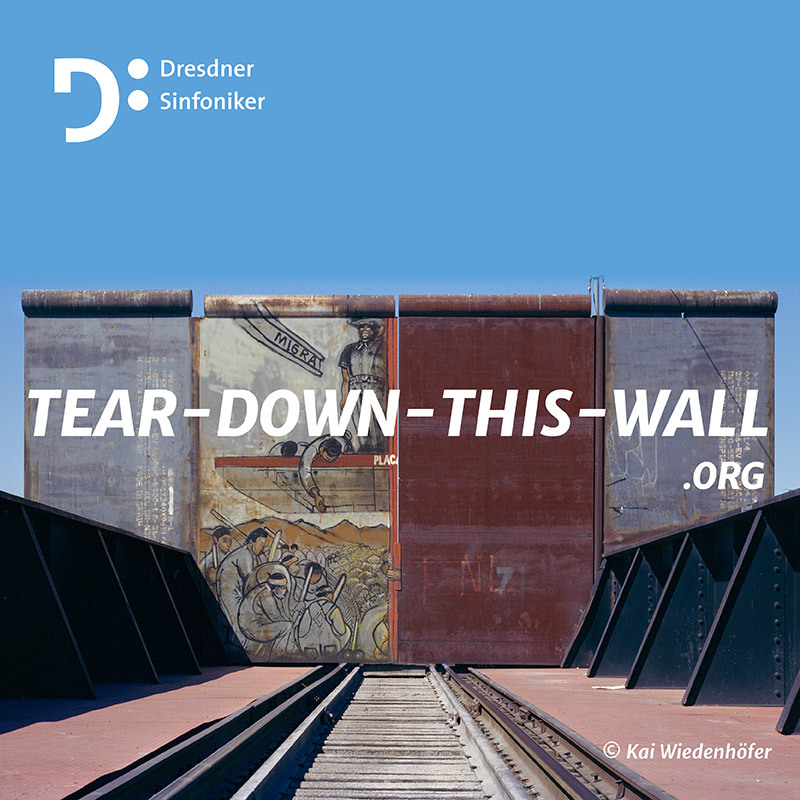 In 1989, most members of the Dresdner Sinfoniker witnessed the fall of the Berlin Wall, an event which resonates in our struggle for freedom and open-mindedness. Please share this message by email and on social media. Tell others about the initiative and encourage them to help tearing down real and imagined walls through the power of art and music. You can also participate in our Facebook event and follow the Dresdner Sinfoniker on Facebook and Twitter. We are grateful for your support and look forward to sending a powerful message to the world on 3rd June!